Tip #1 - Hydrate, hydrate, hydrate! When in training, you should be drinking more water than normal. A general rule of thumb is to drink half your body weight in ounces. In the days leading up to a big race, continue with the same hydration plan. Drinking extra water could actually lead to drinking too much water, which can dilute your electrolytes and have a negative effect on the body and your performance. Plan on drinking about 16 ounces 2 hours before your race to allow adequate time to process the excess fluids and drink a small amount of water right before the start. Tip #2 - Eat a good meal the night before. The typical pre-race dinner is pasta. Nothing fancy. Noodles, tomato sauce, maybe some meat and a salad. I would not recommend homemade mac and cheese the night before. Why? It’s heavy. And a lot of cheese. Stay away from too much dairy. Another tip: stick to regular pasta noodles. This is one of the only times I will say avoid whole grain and the kind with extra fiber added. Tip #3 - Don’t try anything new race morning. Stick with what you know. Experiment with your pre-long run meals early on in your training to see what works for you. My go to race morning breakfast is a banana, granola bar, and Greek yogurt. If you don’t usually drink coffee before a morning run, I wouldn’t recommend downing a cup on your way to the start line. Train your body to run and train your body to eat. 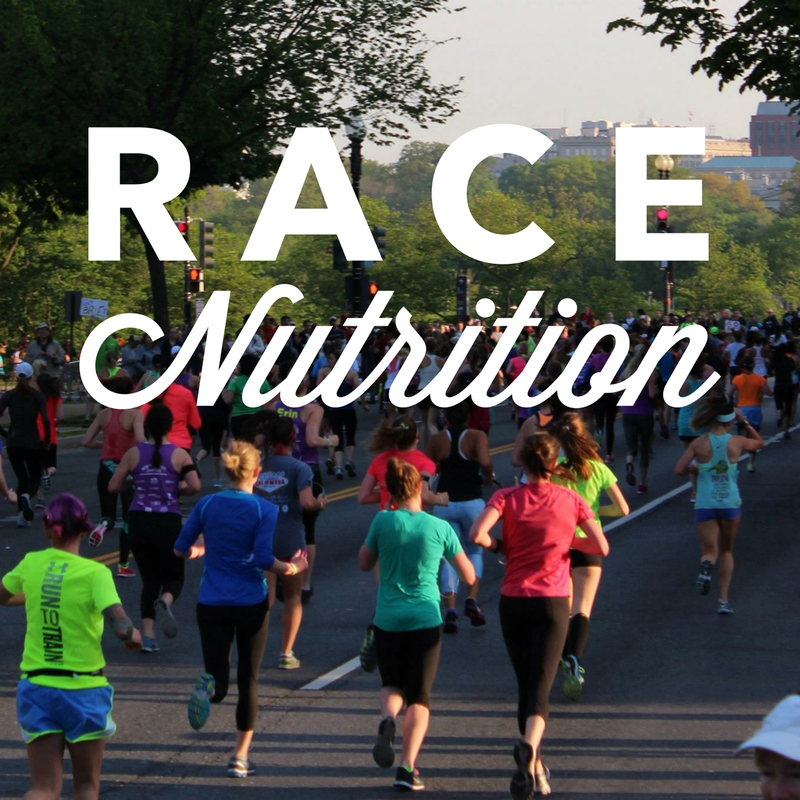 Tip #4 - Practice your race fueling. During a half marathon, I take GU at miles 3 and 8. This is what I am used to and this is what I like. If you practice with GU and you find out the race is offering Powerbar gel packets, either bring your own or buy some Powerbar gel packet to test out during some of your long runs. I always bring my own. Some races don’t offer it early on in the race and by the time I’d get to their GU stop, it’d be too late. Check the labels. Some flavors have no caffeine, others have 2x caffeine. The double caffeine was a nightmare for me. Ask my friend Lizzie. 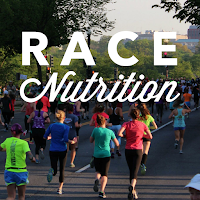 And a note to my dad: GU isn’t supposed to make you run “better,” it helps feed your muscles and body the proper nutrients it needs to keep performing. When it comes to race hydration, the best advice I got when I ran my first marathon was to stop at every single water station. Even if you’re not thirsty, you’re body will thank you later. I don’t stop at nearly as much during a half marathon. My hydration during shorter races greatly depends on the weather, humidity, and how I’m feeling. Tip #5 - Replenish after the race. When you cross the finish line, it’s easy to start celebrating and forget about what your body just went though. After a race, your muscles are depleted and need refueling. Drink lots of water and a sports drink with electrolytes. Your body needs protein and carbs. Chocolate milk is an excellent choice. You can also get protein and carbs from food such as a yogurt and a bagel. Eggs and toast. A protein shake and a granola bar. Take care of yourself after the race and you will thank yourself later on in the recovery process. That’s all for today. Good luck!